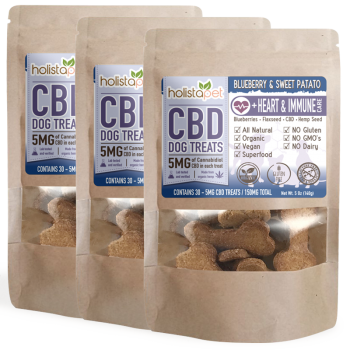 As the legitimacy of Cannabidiol (CBD) continues to gain more popularity, proud pet owners are starting to turn to pet edibles as their delivery method of choice. 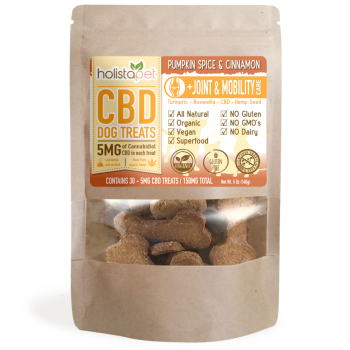 it is becoming clear that natural CBD products for pets and for people benefit each other in the same ways. 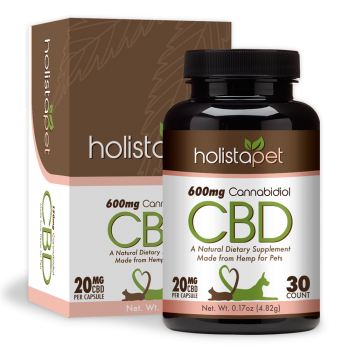 Holistapet only carries natural CBD products for pets. Our CBD Dog treats are made with all organic ingredients including Turmeric Powder, Boswellia, Flaxseed, Hempseed and Pure CBD. This powerful combination of superfood ingredients is what makes our products tower above the rest. 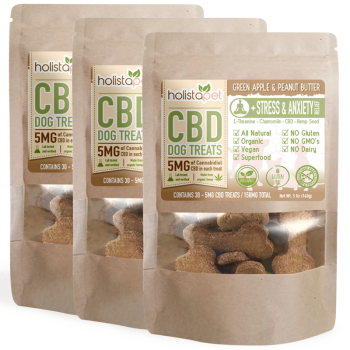 All of our products are non-psychoactive and will not get your pet “high” or “intoxicated. 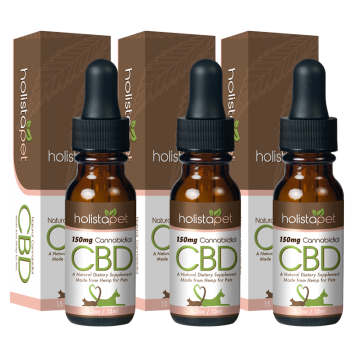 Holistapet CBD is extracted from industrial hemp grown in Colorado. It is not marijuana or “weed”. Researchers have found that cannabinoids reduce pain and joint inflammation associated with a number of conditions including arthritis and colitis. Also, Cannabinoids have been found to and minimizes the side effects associated with chemotherapy and stop the progressive growth of cancerous cells. CBD was found to be an anti-depressant and a good anxiety fighting agent. 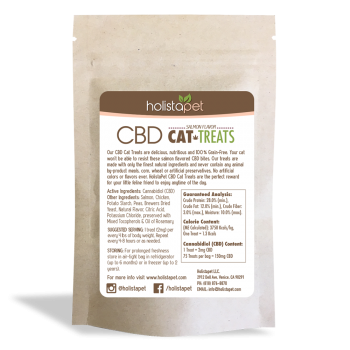 Cannabidiol (CBD) is great for pets with travel anxiety, separation anxiety and noise phobias from fireworks or thunder. 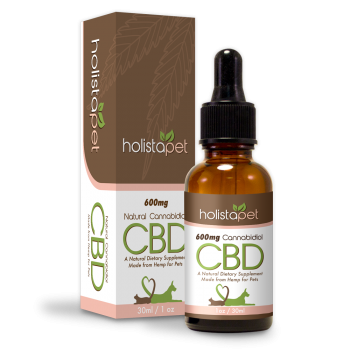 The list goes on about the benefits of natural CBD products for pets. 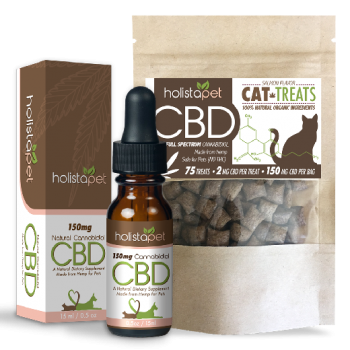 How Much CBD Should I Use For My Pet? 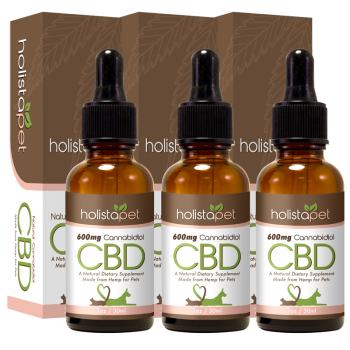 Many CBD pet companies don’t disclose the amount of CBD that goes into their products. This can make it difficult to give a proper dosage. 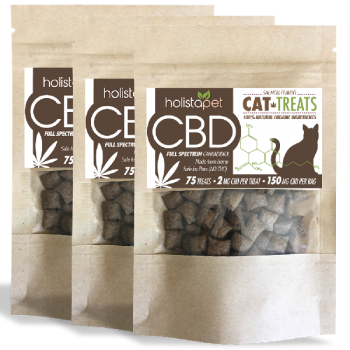 The proper dosing formula for giving CBD to your pet should be based on your pet’s body weight. We recommend 5mg for every 10 LBs of body weight. 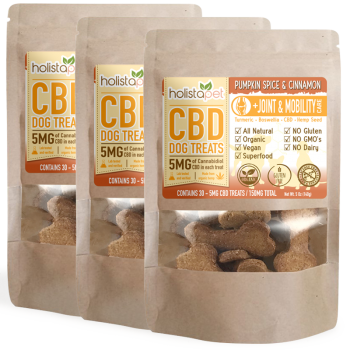 For example, if your pet weighs 30 LBs we recommend to give him 3 CBD dog treats. 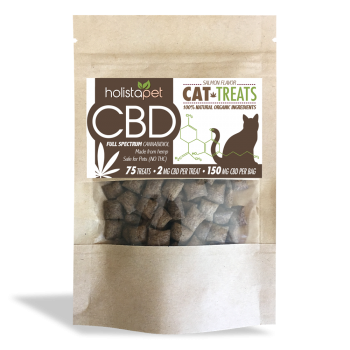 CBD treats should be taken every 4-8 hours or as needed depending on your pet’s condition. For more info please see our recommended dosing guide.